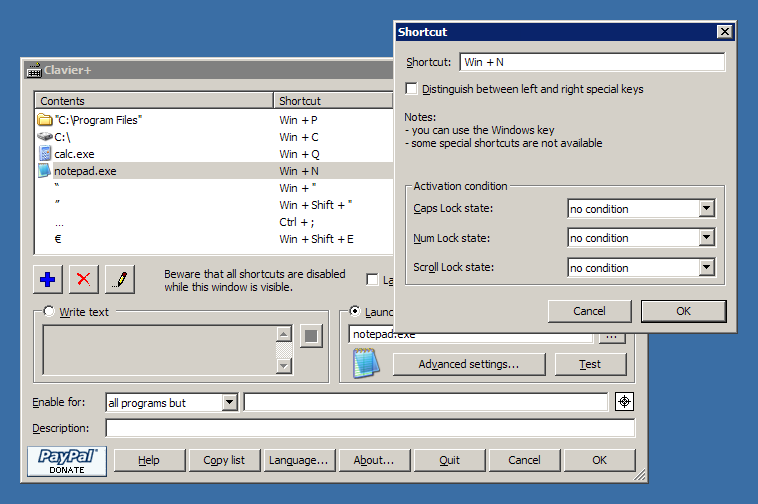 The created shortcuts can be associated to launching programs or writing text. You always launch the same programs, navigate to the same websites? Create a simple shortcut to do it quicker. Tired of writing your E-mail address? Create a universal keyboard shortcut to write it: it will work under Word, Excel, and your favorite Internet browser!